Protesters set a barge alight on Saturday, January 5, near the Musée D’Orsay in Paris, France, prompting fire and police response, according to reports. 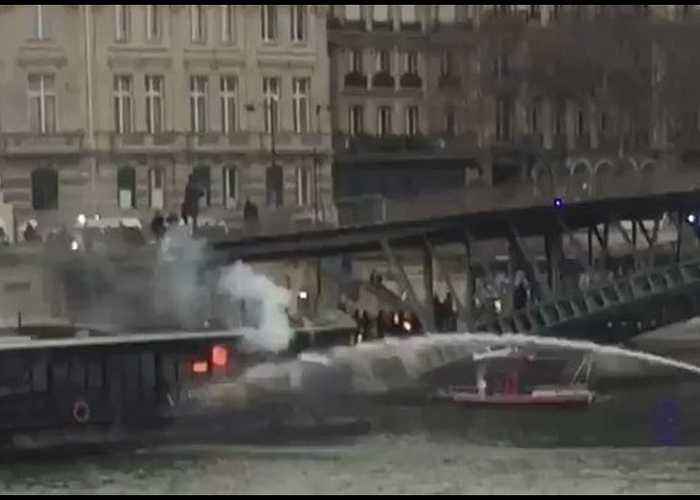 Video from the scene shows a boat spraying water on the barge, which is one of many barges retrofitted as restaurants along Paris’ famous quays. Police evacuated the immediate area out of concern that the fire might catch bottles of gas, according to reports. The fire was reported amid an eighth week of demonstrations in Paris organized by the Yellow Vests movement. An estimated four thousand demonstrators clashed with police and set fires in France’s capital on Saturday.